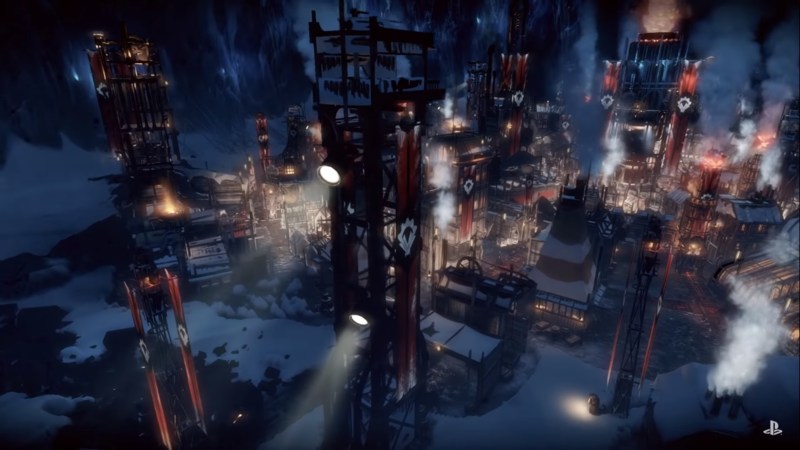 11 bit studios has announced that its “society survival” game, Frostpunk, will be releasing on the PlayStation 4 later this summer. Speaking with the US PlayStation Blog, Koba Stokalski, Lead Designer on Frostpunk: Console Edition, said that the game is all about finding a way to ensure that your society survives in an unforgiving land set in an alternate version of the 19th century industrial revolution. The world in Frostpunk: Console Edition has plunged into an ice age for reasons unknown to humanity. Due to this, established governments have fallen and humankind is on the brink of extinction. You are tasked with leading the city of New London and, as such, you must make the difficult decisions when it comes to the group’s survival. As the leader of New London, it is your responsibility to create new laws and regulations to form your ideal society. You can also structure the laws so that obedience is the number one priority. It is up to you to decide what kind of society you will run. Will you be more lenient with your populace? Maybe you will enforce strict rules, but for the greater good of humankind. These decisions will ultimately make the difference in whether or not your society will thrive, and there won’t always be a clear cut easy answer. Careful planning is required to ensure that your society survives the overwhelming cold. You will need to create the infrastructure to run the city, as well as manage all of its resources, expansion, and citizens. If being the leader of a city in the middle of an ice age wasn’t hard enough, you will also need to explore the world in search of remnants of a time since passed, resources that can aid your society in its survival, and even survivors who need rescuing. If you save other survivors in need of help, they will join your society. Let’s say you save an engineer. Now you will have a valuable addition to New London, should your massive coal-fueled generator start acting up again. Are you excited that Frostpunk: Console Edition is trekking its way to the PlayStation 4 this summer? Let us know in the comments!